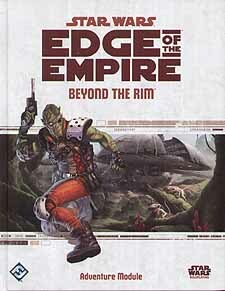 Fire up your hyperdrive and embark on a journey to the farthest regions of the Star Wars galaxy. Intrepid explorers, scrappy smugglers, and adventuresome academics must harness every skill in their arsenal to evade Imperial forces, thwart their competition, and finally explore - and survive - an uncharted world. An epic tale of exploration perfect for starting characters. All-new adversaries and vehicles, including Imperial scout troopers, the Skywatcher-class scout ship, amphibious reevos, and fearsome nexu. Mini-gazetteers for the Wheel space station, Cholganna, and Raxus Prime, enabling Game Masters to use these locations in their own campaigns.